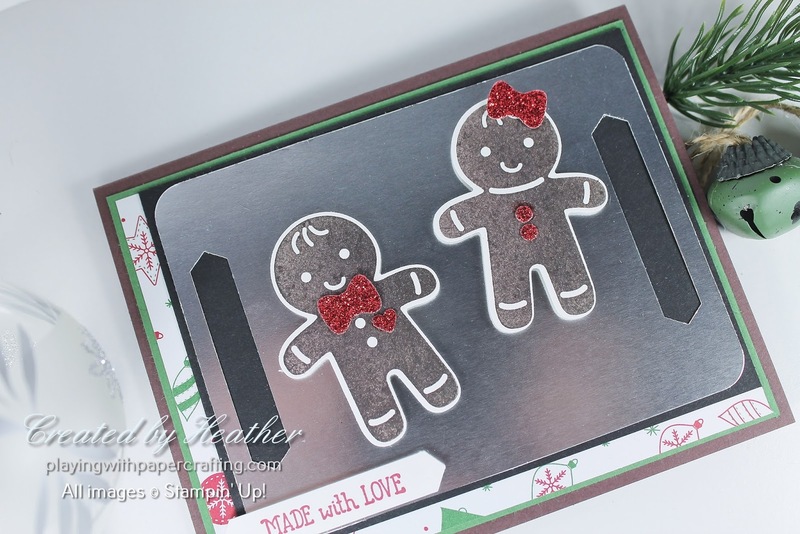 To get a solid image with full ink coverage on the gingerbread men, make sure that you use the Stampin' Pierce Mat under your cardstock when you stamp and make sure your ink pad is well-inked. This one is notorious for not giving you full coverage. 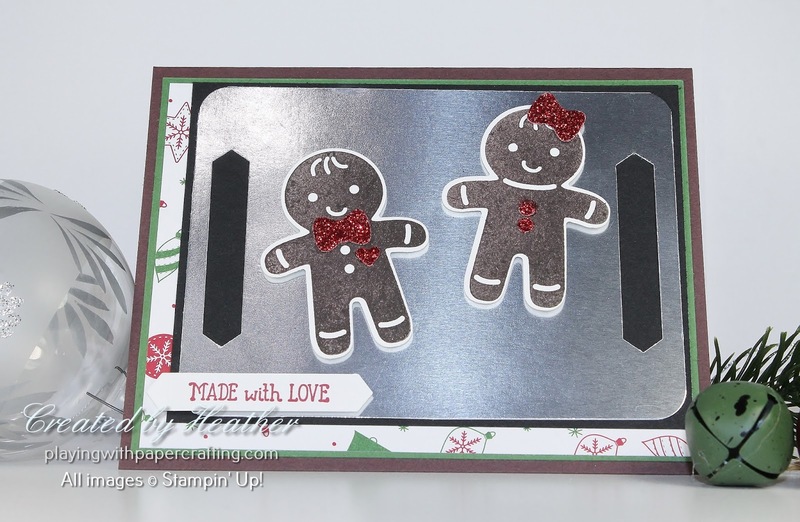 I stamped several before I was happy. 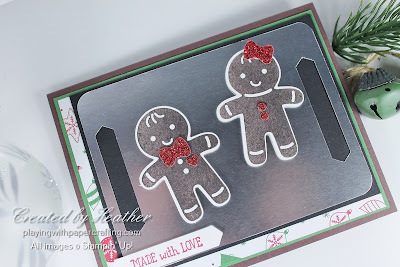 The Cookie Cutter Builder Punch makes all the accessories for the cookies including the buttons, heart and bows, which I punched out of Red Glimmer Paper to look like red sugar decorations. The Classic Label Punch came in very handy for this project. 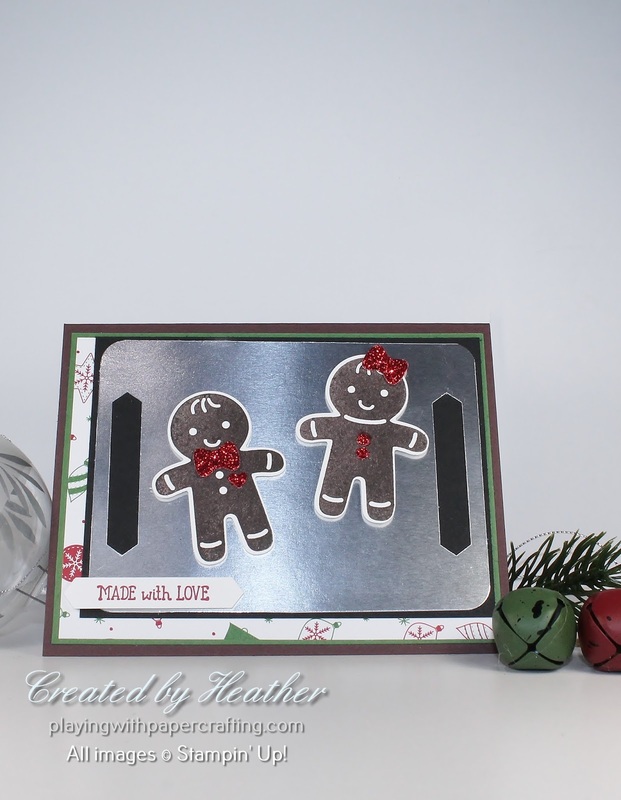 It not only punched out the sentiment, from Labels to Love stamp set, but also created the handles for the cookie sheet. The background paper is from the Be Merry Designer Series. Are you hungry yet? 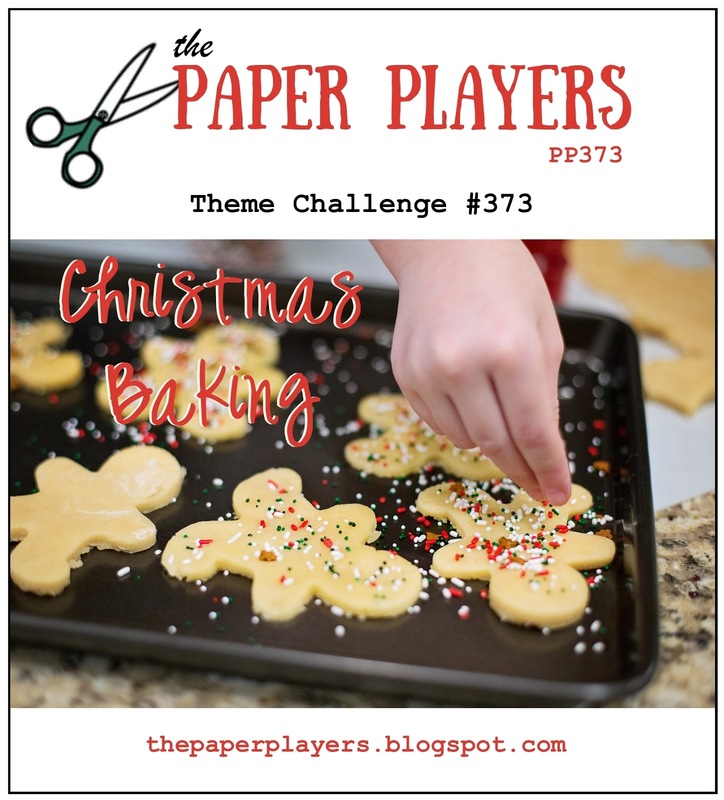 What kind of Christmas baking do you do? I don't do a lot as we always go away for Christmas and this year, we're going to stay with the daughter whose family all need gluten free recipes, so I might have to look up some new recipes. Have a great weekend! Don't forget that you can still reserve a Stamparatus if you haven't yet done so. Just go to my On-Line Store and click on Stamparatus and follow the prompts. And the Year End Sale still continues. Many of the products in the Holiday Catalogue are retiring, so after Jan. 2, you won't be able to order them any more. Check it over to make sure there's nothing that you can't live without! Shut the Barn Door! And Happy New Year!